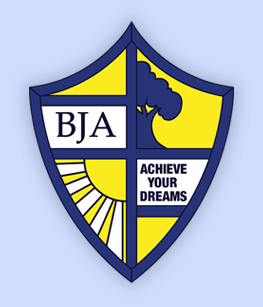 Balfour is a popular and oversubscribed Junior School who are looking forward to becoming active members of the Fort Pitt /Thomas Aveling Academy Trust. Judged to be solidly good in the recent OFSTED inspection, our seventeen classes study a creative and varied curriculum with gold awards for sport and physical education. We are, in the main, a young staff and can offer a varied training experience as we have a very mixed catchment, are passionate about inclusion and parity of access and committed to ensuring each child has the opportunity to achieve their dreams. Many of our teachers are trained mentors and coaches and we would provide the highest levels of support and encouragement. There will be opportunities to help with after school clubs, trips and residential and you will be welcomed to play an active and enthusiastic part in the day to day life of our school. We seek to provide a stimulating learning environment that encourages our trainees to access the range of skills and knowledge that will prepare them for a long and successful career in teaching. We are looking for trainee teachers that are passionate about education, who love children, are resolute and dedicated to providing a learning environment that enables all children to reach their potential. If you truly believe that every child deserves the very best educational opportunities, regardless of background, then we look forward to hearing from you. Please contact us on 01634 843833 and ask for Mrs Desi Zlateva (School Business Manager).